Introducing...our latest addition: A Baby Café Bakersfield website and blog! Welcome! After many, many requests over our 2.5 years, we are introducing our new website and blog today! We are thrilled to have a new way to let the community know about the services we provide and to communicate with our Baby Café families! Please send us a message through our Contact link to let us know what you think! 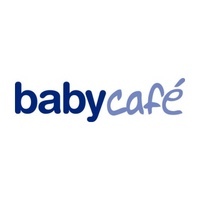 We'd like to hear what you would like to see on the website, what information a new parent who had never heard of Baby Café would need to see on here, and anything else you think would improve our website! We're seeking a sponsor for our website! If you or someone you know is interested, you can sponsor our website for just $12 for a month. You will receive a receipt for your tax-deductible donation through our fiscal agent, WarmLine/LaCresta Foundation. UPDATE: We have a sponsor! Watch for our Sponsors page - it's under construction!